If you or someone you know is struggling with any of the above signs, Dot wants to help. In addition to seeking support through the options listed below under “Dot’s Assistance for Mental Health,” consider taking the following steps to make your days on the road more enjoyable and productive. This can be extremely difficult, but it’s the most important step to getting help. Do what you can to stay connected with loved ones, even when it feels difficult or burdensome. FaceTime, regular calls, and even social media can help you feel engaged with what’s going on at home. This allows you to know what to expect each day and feel a sense of normalcy and predictability. Whether it’s keeping consistent breaks, starting your morning off with the same breakfast, or going to bed at the same time each night, a regular routine can be beneficial for your mental wellbeing. Do not force yourself to continue working when you are tired, anxious, hungry, etc. Know when it’s time to stop and take a rest. Spend your breaks doing the things that relax you, whether that’s watching television, reading, listening to music, or playing a video game. Self-care is a big buzzword these days, but it all comes down to taking the time to do things that help you feel renewed and energized. For many people, this includes exercise and eating healthy. Maybe it means a long, hot shower or spending the first 10 minutes of your morning meditating. Make sure you’re leaving room in your day for activities that recharge your battery and allow you to take good care of your body. From family photos to your favorite mementos, making your truck feel like an extension of your home can offer comfort to drivers. You may also choose to bring daily supplies and food and beverages, which can help establish a consistent routine and help you avoid unhealthy meal options on the road. Whether you or someone you know is dealing with mental health challenges such as anxiety or depression, just know you’re not alone. Help is always available. 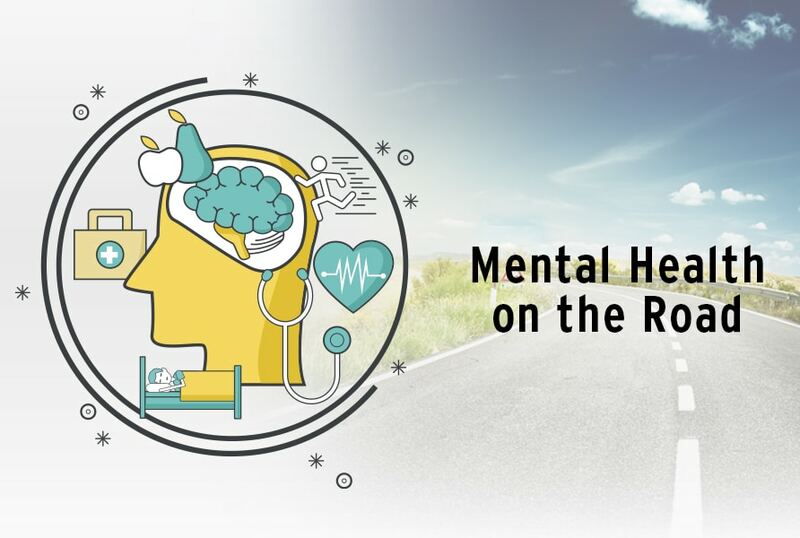 At our transportation company, we want to provide you with as many resources for mental health wellness as possible. Office visits and medicine are discounted through Dot’s insurance. If you need help finding a doctor, the Benefits Value Advisor (BVA) can help: 866-807-1131. Counseling appointments are discounted through Dot’s insurance, and you can use your Health Savings Account (HSA) to pay for your visits. You can ask a doctor or someone you know for a referral or contact the BVA. You can also seek out counseling sessions through MDLIVE. This online health service allows you to participate in counseling sessions through your phone or computer no matter where you are on the road. To register for MDLIVE, visit their registration page and use your Dot insurance information to enroll. Chaplains can offer support and advice, and listen to what you are going through. Contact Chaplain Aaron Foster from Dot’s Chaplain Program at 217-257-9067 or aaron-foster@mchapusa.com. All employees enrolled in Dot’s health insurance have access to local Family Health Centers (FHC) where providers will speak to you about your symptoms and concerns. These centers are conveniently located for employees in Idaho, Indiana, and Georgia, and coming soon to Mt. Sterling later this year. Maintaining healthy cholesterol, blood pressure, and BMI levels are important factors in overall physical and mental wellness. By eating healthy and getting regular exercise, you will find your mental wellbeing improving quickly. Therefore each year Dot offers a free biometric/wellness screening to all employees enrolled in the company’s health insurance, which provides easy access to numbers that can improve your quality of life and reduce personal medical expenses. Not only do you receive important details about your health, but you are also eligible for an incentive after completing a screening and meeting specific health goals. If you don’t have Dot health insurance, the Employee Assistance Program (EAP) can provide support and short-term counseling. You can reach the EAP at 800-356-0845. If you or someone you know seems to be exhibiting signs of anxiety or depression, don’t delay. 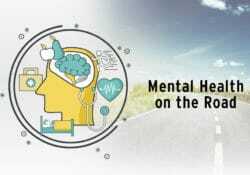 Utilize Dot’s assistance programs and make mental health a priority.